It's been a trope for half a century: the damaged soldier returns home from war, depressed, confused and probably dangerous. There are the unhinged, Russian roulette-playing Vietnam vets of Deer Hunter. The feral ex-Green Beret in survival mode, in First Blood. The broken, drug-dependent marines of Born on the Fourth of July. The brainwashed assassins of The Manchurian Candidate. In the Valley of Elah's PTSD-addled soldiers kill one of their own. The Hurt Locker's danger-addicted Sergeant who can no longer live a civilian life. In Dead Presidents, the Vietnam vets are thieves, addicts and murderers. And American Sniper is about Chris Kyle, a Navy SEAL who was ultimately murdered by a fellow vet suffering from PTSD. Television isn't always so heavy-handed—Modern Family's lovable patriarch Jay Pritchett served in the Navy; Geena in The Conners is a stable mom who fought in Afghanistan; in This Is Us, Vietnam vet, Jack Pearson, is a great dad—but problems persist. HBO's Barry is based entirely on the premise that Marines come home unable to do anything but kill. 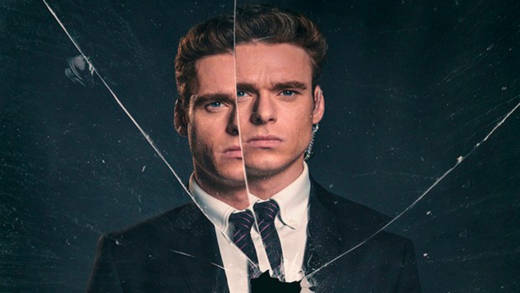 In Netflix's Bodyguard, one villain is a bitter former soldier hellbent on assassinating a politician. Even the hero of the piece—David Budd, an Afghanistan vet—has a wife who considers him too dangerous to live with. When Budd's lover wakes him unexpectedly one night, he launches straight for her throat, apparently overcome by killer instinct. Marine veteran, Renee Pickup, served for six years, and her husband remains on active duty. She worries about the ways negative fictional portrayals of the military might impact her family. "Most of what we see in pop culture either puts vets on a pedestal so high it's dehumanizing," Pickup says, "or it's about how damaged and dangerous everyone is. Even really well-written stuff plays into this. I adore Grosse Pointe Blank as a piece of entertainment, but [John Cusack's character] couldn’t just join the military and figure himself out. He joined the military and now he’s a hitman. Barry is another one. His only being good at killing should be presented as related to his own personal moral flexibility, not chalked up to his military experience. "These [representations] serve as a divide between us and our civilian counterparts," Pickup explains. "They make people wary of us, which makes getting help harder. And they make employers scared of us. If we're all 'only good at killing,' how do I explain to a potential employer that I have fantastic management and administrative experience?" In 2014, military and veteran affairs magazine Task and Purpose pointed out an additional problem with television depictions. "Where are the female soldiers, especially the female junior officers?" it asked. "Where are the service members who return from a combat zone stronger than when they left? Where are the stories told by actual veterans? ... There are not enough veterans involved in the story-making surrounding our own narratives." Pickup agrees. "We don’t often see representations of women vets, or LGBTQ vets, or veterans of color. Which means that women, LGBTQ, vets of color, and vets that aren’t Christian have a hard time getting their service recognized. I really believe this is, in part, due to the cultural reinforcement that the military is made up of straight, white men." During the first half of the 20th century, the way soldiers and veterans were presented in movies was narrow, but in an entirely different way. There were a multitude of movies about war—the battles, the raids and the heroism involved—and almost nothing about what happened once the soldiers got home. 1946's The Best Years of Our Lives offered an impressively early exception to that rule, but it was 1978's Coming Home that really changed how war stories were told on the big screen. Vietnam was famously the most documented war in history. And once the moral and emotional complexities of that war became clear to the American public, once the draft made unwilling soldiers of a generation of young men, it became almost impossible for Hollywood to simply make straight-forward war hero stories anymore. "In pointing out that war hurts people—because of course it does—and in trying to be compassionate to vets who subsequently have problems," Pickup says, "[Hollywood] accidentally feeds narratives that hurt people further. Of course, there are issues with reintegration and mental health, but they don’t express themselves quite like popular culture suggests, and certainly not at the same percentage." When it first started, the shift in movies away from flag-waving heroism towards more realistic portrayals of war's aftermath was both important and much-needed, especially during the post-Vietnam healing process. But, over time, that narrative has taken on a life of its own, one that doesn't reflect most veterans' realities at all. What started as a desire to reflect the harshest consequences service members face when they come home has ultimately become an erasure of the people who have served, survived and thrived. It's time to start telling their stories too.